On Thanksgiving Day, the Associated Press published a story raising eyebrows at president-elect Donald Trump for meeting too many retired generals about positions in his nascent administration. Though he has only actually given one ex-general a job, AP National Security writer Robert Burns fears Trump is becoming too reliant on members of the military. The AP goes on to assert that Trump is considering all these generals because no one else wants to work for him. So far, the only general the President-Elect has actually named to a position is retired three-star Army general Michael Flynn, who has become Trump’s national security adviser. But Trump has been considering a long list of people from varied backgrounds — even some Democrats — for White House jobs. His transition team announced several surprise picks on Friday: SC Governor Nikki Haley as Ambassador the United Nations, and education activist Betsy DeVos as Secretary of Education. Regardless, Burns worries that there are just too many generals in line for jobs. To “prove” the point, he points to a recent comment Trump made about his thinking on candidates for Secretary of Defense. 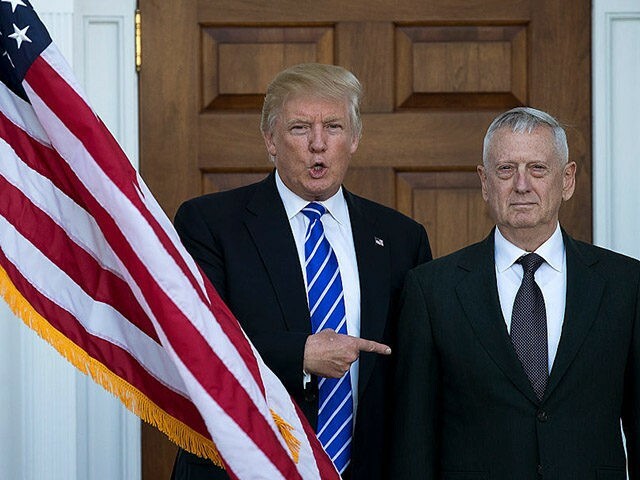 On November 22, Trump told The New York Times that he is thinking a general, perhaps retired Marine General James Mattis, would do well as the next chief of the Pentagon. But many past Secretaries of Defense have hailed from the military. In fact, Harry S Truman’s George C. Marshall became one of the biggest proponents of peace in U.S. history by heading up the “Marshall Plan” to help rebuild Europe after WWII. And many others, while not reaching the rank of general, have had military backgrounds — including Robert Gates, who served under both Barack Obama and George W. Bush, Chuck Hagel, another of Barack Obama’s picks, and many others. Burns’ concerns about warmongering stand in stark contrast to the facts of the presidential election; Trump continually touted his opposition the Iraq War and criticized his Democratic rival Hillary Clinton for saber rattling against Russia and Syria.